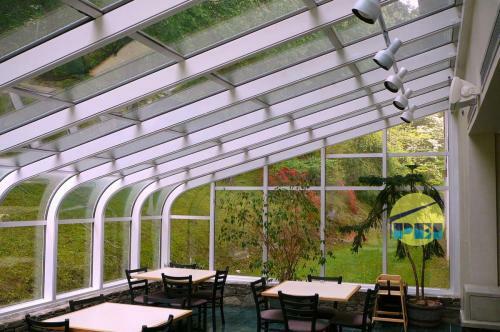 NC Sunrooms Glass Sunrooms Sloped Glazing Carolina Polycarbonate Glass Greenhouse Mfr. 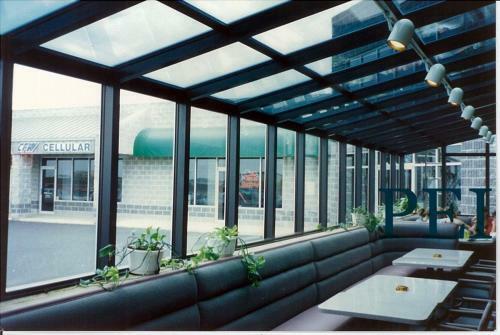 Commercial glass roof solariums and sunrooms supplied by Pool Enclosures, Inc. are the ideal solution for institutional cafeteria and restaurant light-filled eating areas. 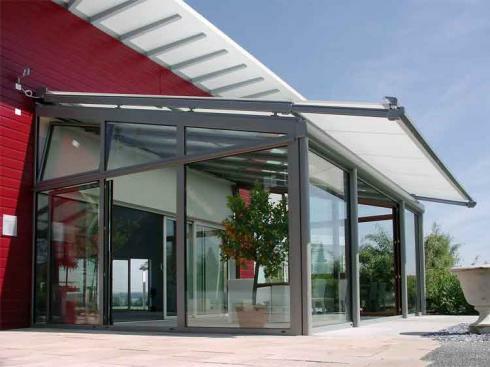 Our glass roof option for solariums, sunrooms, skylights and greenhouses is shown below. 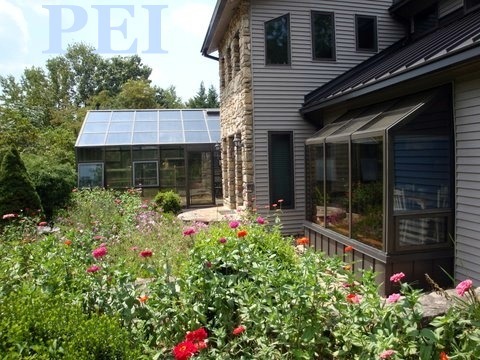 We offer insulating glass with low solar heat-gain / high r-value low-e glass that is the best in the industry. 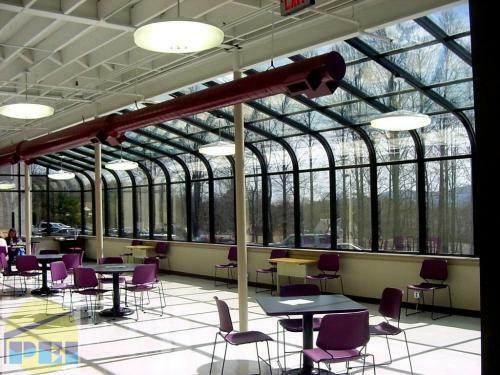 This high performance 1" dual-pane tempered insulated glass is typically used throughout the entire glass structure. P.E.I manufactures residential and commercial swimming pool enclosures and porte cocheres.